Transfer from Puno to Uros Titicaca Lodge. DAY 2: TOUR AND OVERNIGHT IN AMANTANI ISLAND. At a suitable time, we will proceed to collect our fishing net that we put the previous day and see the diversity of native fish of Lake Titicaca; then we will take our breakfast and after an unforgettable experience, we embark and we will go to the natural island of Amantani, we arrived at the average half a day, where we expect the families of Amantani, then walk (30 min. Uphill) until the local houses of the island for lunch Andean food prepared by families, after resting and settling into the rooms, we walk up to the top of the island and see the ceremonial temples pre - Incas, we'll stay to see one of the best sunsets of the world then back to the local houses for dinner and in the evening we go to dance together with families (the feast of welcome is optional and depends on the physical condition of the traveler). DAY 3: TOUR TO TAQUILE ISLAND. After taking our breakfast, we will descend to the port of Amantani (08:00 AM) to take our boat heading to the island of Taquile Island where we will have a hike and taste a delicious lunch, after enjoying the landscape of majestic Lake Titicaca the work of terraces, custom and tradition of its inhabitants and see their way of living through its textiles, we returned to the port of Puno and transfer to the hotel. 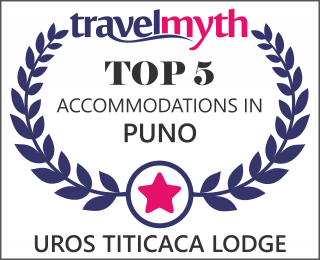 10:00 am Reception and transfer from the hotel in Puno to Uros Titicaca lodge. 10:30 am departure by boat to Uros Titicaca Lodge. Day 2: TOUR AND OVERNIGHT IN AMANATANI ISLAND. 10:00 am Departure by boat to the island of Amantani. 13:00 pm Arrival and beginning of the Visit to Amantani Island. 14:00 pm Lunch with local family. 15:45 pm hike to the highest point of the island. 18:00 pm Return and dinner at the family home. 20:00 pm Dance and celebration of welcome in the island. (Optional). 06:30 am Breakfast in the island of Amantani. 08:00 am Departure by boat from the port of Amantani to Taquile Island. 09:00 am Arrival to the port of Taquile and walk toward the town. 12:00 pm Lunch at the home of local family. 13:30 pm Return to the city of Puno. 16:00 pm Arrival and transfer to the hotel in Puno. Transfer Puno - Uros Titicaca Lodge - Puno. Transfer and shipment to Amantani Island.